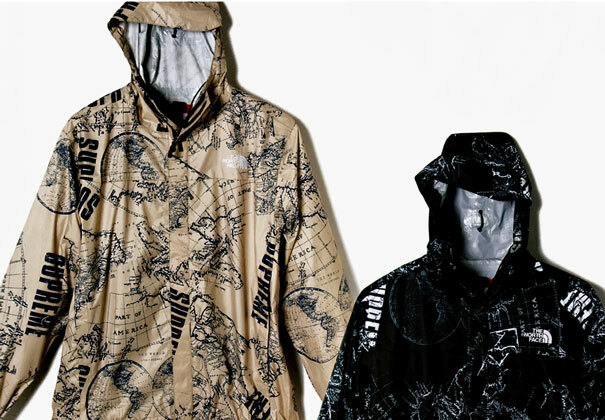 A brand new collabo from the skating giants and the company that keeps us all warm in the winter, this Spring/ Summer '12 collection from Supreme and North Face is festival ready with a design to die-for. Featuring a world map x the Supreme logo, this being North Face, the clothes don't just look pretty, they're practical too; waterproof with sealed front zip you can also grab a bag to match. A 30L backpack and a 62L 2-way duffle with pull-out handle and wheels. The line launches in Japan this weekend, keep your eyes peeled for the UK launch, expected very soon.